I'm an eccentric Mobian chipmunk that does art stuff, has an affinity for geek culture, music, babyfur play and consumes a lot of Acorn IPA. 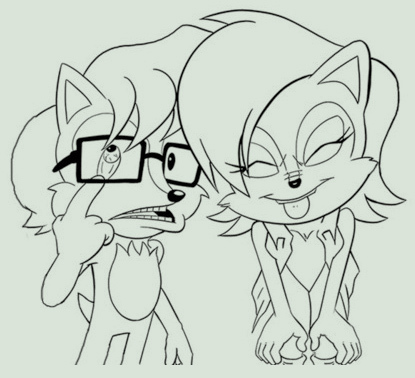 Im also happily in relationship with Sally Acorn, who fell on some hard times in 2017 after being fired from Archie while experiencing a horrible break up with Sonic the Hedgehog. In summer of 2018, I discovered her at some bar in San Francisco; depressed and suicidal. After a long conversation, we became friends which later developed into something more endearing. 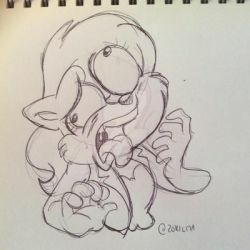 Shes disconnected herself from the her royal title, her haters, Archie, and even Sega to escape from such toxicity. As of now, shes enjoying life with a partner who sincerely cares for her, as she explores new activities as a civilian where abuse and mistreatment or no longer a concern.